During the late 1990s, a young Iraqi Islamist self-proclaimed himself “moral and vice inspector” in his native Fallujah, an ancient city located 69-km west of Baghdad. He combed the streets, fanatically searching for alcohol at restaurants and homes, smashing wine bottles and spilling them into the gutters of Fallujah. Omar Hadid caused a buzz in secular Iraqi society and Saddam Hussain ordered him shot dead in Fallujah. 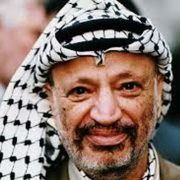 Hadid went underground, emerging after the American occupation of 2003 as a “resistance leader” in his native city, affiliated with Al Qaida. He was killed at the Fallujah battles in late December 2004. Eleven years later, his name is slowly coming back to life but this time, it’s not in Iraq, but in Gaza City. 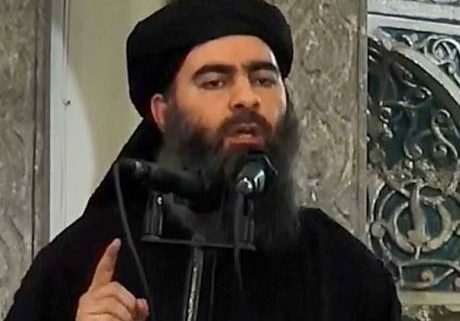 A brigade carrying Hadid’s name surfaced in Hamas-held Gaza earlier this year, affiliated with ISIS (the so-called Islamic State of Iraq and the Levant) and its self-proclaimed ‘caliph’, Abu Bakr Al Baghdadi. Hadid hailed from the powerful Dulaim tribe of Iraq, making him a relative of Abu Bakr’s third wife Saja Al Dulaimi. Abu Bakr had plenty of affection for the Iraqi. The Palestinians of Gaza, however, never knew Hadid and had probably never heard of him name prior to 2015. It was parachuted into Gazan society by ISIS proxies in Egypt. Omar Hadid militiamen are feeding off the chaos in neighboring Sinai, after all, where another ISIS-affiliate, Ansar Bayt Al Maqdis, has been in full-operation since 2012. It started 15 years ago with dormant cells set up by Osama Bin Laden himself and has since been engaged in vicious battles with the Egyptian army. Ansar Bayt Al Maqdis is the paternal godfather of the Omar Hadid Brigade. It has given it its shape, vision and name. In 2014, Abu Bakr sent five advisers to Sinai to help revamp Ansar Bayt Al Maqdis, carrying fake Yemeni, Sudanese and Libyan passports. They entered Egypt disguised as cooks, car mechanics and drivers. They collected arms from the Libyan battlefield, smuggled them into Sinai, and are now finding ways to get them into Gaza. 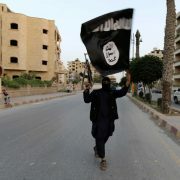 Unlike Ansar Bayt Al Maqdis, which pledged the oath (bay’a) to Abu Bakr last November, Omar Hadid militants have not made such a powerful commitment to date, although their online videos play ISIS anthems and boast of a ISIS flag. To date, the military operations of Omar Hadid have been minimal and rather amateurish. Last May, they claimed responsibility for rocket attacks on the city of Ashdod. 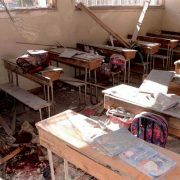 In February, they distributed pamphlets carrying the name ‘Islamic State in Gaza’, claiming responsibility for an explosion at the French Cultural Centre, which set off a fire that devoured the building but failed to claim human lives. The attack, they claimed, was in response to the French center’s “moral corruption” and the “alien vice” it was introducing to Palestinian society, like theater and music. They need to do better, however, to earn the caliph’s official seal and blessing. Omar Hadid membership is likely to expand in the months ahead. 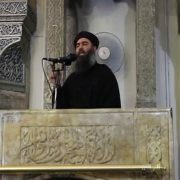 They are on the verge of pledging affiliation to the ‘Caliph’ and re-naming their group to give it a more Palestinian/Islamic name. The unofficial name circulating in Gaza today is ‘Ahfad Al Sahaba’ (Grandchildren of the Prophet’s Companions). It sounds more Islamic and Palestinian than ‘Omar Hadid’. Abu Bakr is watching Omar Hadid closely. 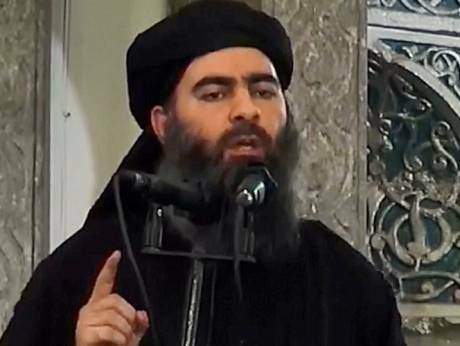 Before giving them his official franchise, however, he needs to see if they are eligible “subjects” of ISIS. The requirements for joining Omar Hadid are not much different from those of ISIS. Any male Muslim Palestinian can join, irrespective of age or academic qualification and one does not even have to come from an Islamic family background or lineage. In ISIS-held territory in Syria and Iraq, fighting skills are not a prerequisite — they can be learned later. In Gaza, military experience is a must, and so is piousness and “fear of God,” for members to uphold the teachings and legacy of the first Muslims. If the Palestinians pass Abu Bakr’s checklist, so much will change in their war-torn country. Hamas may collapse at the hands of Omar Hadid or get the face-lift it badly needs to re-invent itself, just like Hezbollah did after 2011. Omar Hadid might — just might — be a blessing in disguise for Hamas, whose top command would now market themselves as partners in the International War on Terror, sharing a common enemy with the Americans and Europeans. If Omar Hadid thrives in Gaza, their logical next target will be the West Bank. 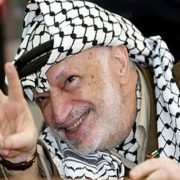 Fatah leaders will milk the opportunity to death, as they too are also desperately in need of a face-lift. Omar Hadid may even give Hamas, Fatah — and perhaps Israel — more reason than ever to set aside their historic differences and join forces to work together against ISIS. 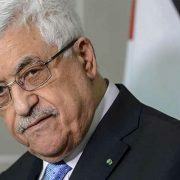 But that will kill any future peace talks with the Israelis, no doubt, and probably lead to the rise of a militant and conservative leadership in both Hamas and Fatah, since wobbly civilians simply will not do in the fight against ISIS.